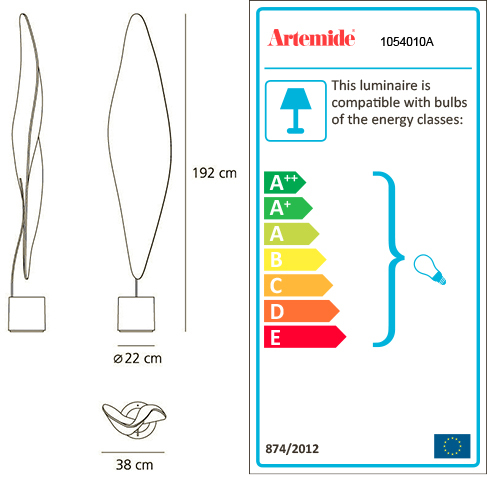 ARTEMIDE COSMIC LEAF is a table lamp. It appears as a digital leaf from another World , embedded with scales like a reptile or an insect which gather light and shadow on its body to seduce a mate. Available with halogen or metal halide source. Chromed steel structure; body lamp-diffuser in transparent methacrylate with texture; painted metal lighting unit. Bulb not included 1x100W Halo o 1x8,5W LED (G53).